There’s a wardrobe item that has been outperforming all the others of late, because it’s just so damn versatile for those tricky transitional autumn months. 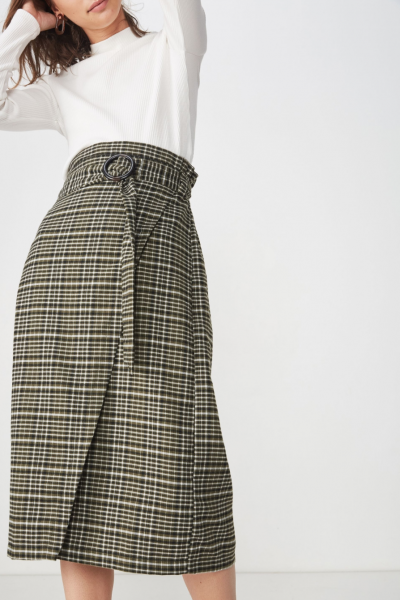 Let us take a moment to tip our hat to the humble calf-length skirt, which can be teamed with sandals for the warmer days, or stockings and boots as the chill sets in. It really is an outstanding team player. The good news is there are some absolute beauties on Shop You at the moment. Here are some of our favourites, with a bit of style inspo on how to wear them for maximum impact. Gorman Light Show Skirt – Talk about bringing a pop of colour. 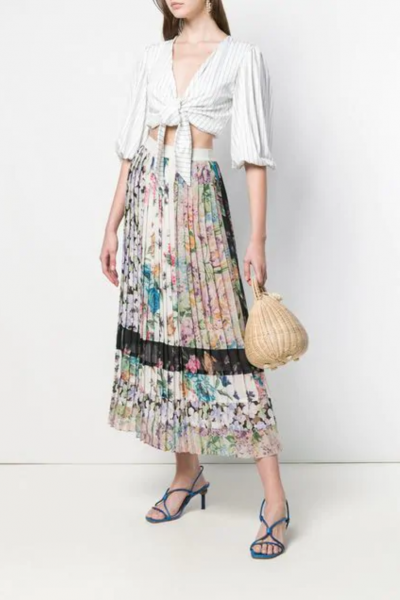 This skirt is a standout as you can team with sneakers and a tee for a casual weekend vibe (like the hot dame in this picture has done), or dress it up with a black cami, a leather jacket and heels for a little more of an upmarket feel. The fact that there’s a broad colour palette also means you probably already own a coloured tee that will match perfectly. Winner! 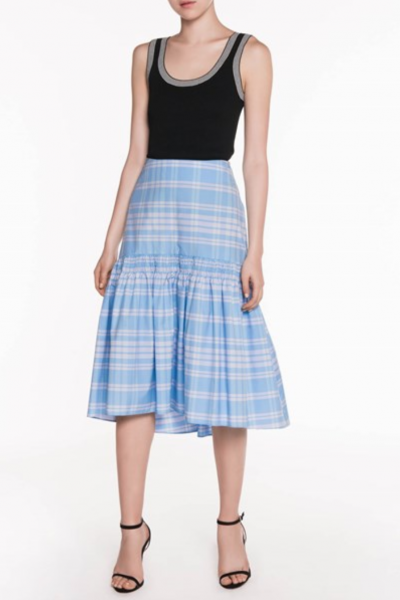 Witchery Sunray Pleat Skirt – If bold colours aren’t your thing, this gorgeous feminine floaty number from Witchery might be more to your taste. Again, this would work with a white tee and sneakers for a dressed-down look, or get creative as they have done here with a plush jumper for cooler days. 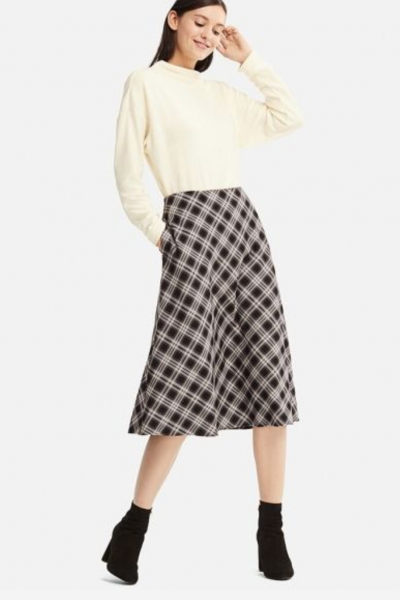 Cue Golden Plaid Pencil Skirt – Now here is a skirt that you’ll wear to death. With a flattering cinched waistband and a stylishly subtle split, this is bound to become a beloved wardrobe staple. You can have a bit of fun with it as they have done here with some bold tights and some clashy prints, or tone it down for corporate chic with a white shirt and pumps. 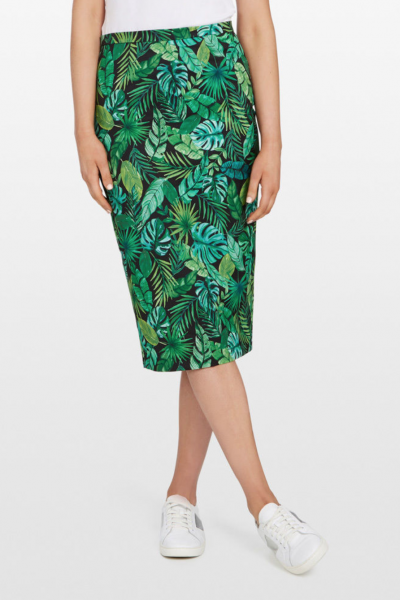 French Connection leaf printed pencil skirt – Bring a bit of jungle fun into your life with this cute as hell number from French Connection (which features some very on-trend green hues). This is a fine example of a skirt that looks just as good paired with runners as it does with a pair of black opaque tights and boots. It’s great if your planning to travel as well – just roll it up in your suitcase and consider yourself resort ready. For more outfits that you’ll love, download Shop You.